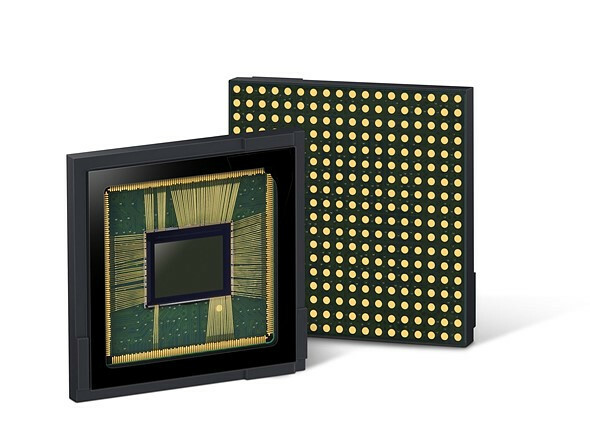 The new sensors come with reduced pixel sizes, the ISOCELL Slim 2X7 being the world's first mobile image sensor with 0.9 μm per pixel. These allow for better results in low-light environments and provide improved details with increased resolution. Galaxy S9 and Note 9 are expected to feature both sensors. Samsung announced their latest achievements in mobile imaging sensor technology. The ISOCELL Fast 2L9 and Slim 2X7 will be shipped with the 2018 flagship smartphones and will bring improved quality in low-light environments, as well as higher resolutions with reduced pixel sizes. The ISOCELL Fast 2L9 makes use of the Dual Pixel technology to deliver fast focus times. The pixel size on this sensor was reduced to 1.28 μm from 1.4, and each pixel integrates two photodiodes instead of one. The sensor has 12 million focus-detecting pixels that quickly focus and track moving objects even in darker environments. The Dual Pixel technology also allows Bokeh effect pictures through a traditional single lens camera. The more advanced ISOCELL Slim 2X7 brings the world’s first 0.9 μm pixel size. The reduced size provides high color fidelity and less noise at higher ISO specifications due to the Deep Trench Isolation feature that reduces color crosstalk and expands the light capturing capacity. The sensor integrates 24 million pixels and comes with a thinner camera module that can be incorporated into razor-thin smartphones. The two new image sensors are expected to be placed both on the back and in front of the Galaxy S9 and Note 9, taking the upcoming smartphons one step closer to professional DSLR cameras.